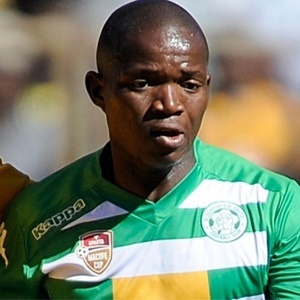 Cape Town - Bloemfontein Celtic midfielder Lantshene Phalane says their stunning early-season form is down to the professionalism and unity instilled by new coach Veselin Jelusic. Siwelele narrowly survived the drop by a single point last season but after nine games in the 2017/18 campaign, they have a chance of moving to the Absa Premiership summit with their game in hand. And while their upturn in domestic form has been admirable, Celtic are just two games away from a historic Telkom Knockout title. The Bloemfontein side take on Polokwane City at the Old Peter Mokaba Stadium on Sunday, November 19. "This season we are more united as a team and we don't have players who are doing silly things off the field," Phalane said. "If there are people who are doing wrong things on or off the field‚ we call them to order because they can undermine what we are trying to do. "Coach Jelusic is always calling us individually to talk to us to correct individual mistakes. What I have realised is that the things that he is saying are true." The 27-year-old has also credited the Serbian coach for instilling confidence into his game after being on the periphery of the first-team squad last term. "Last season I did not get enough game time and as a result, I struggled to play consistently in the first eleven," Phalane added. "When last season ended‚ I reflected and decided to come back with a different mentality and what you are seeing this season is a new Lantshene."